The broad stock market suspended its four-month uptrend and entered a consolidation phase. 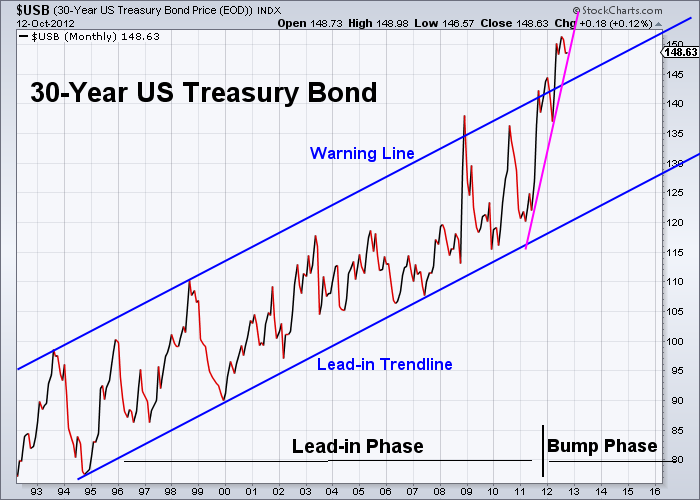 The current price level is critical to hold the market. 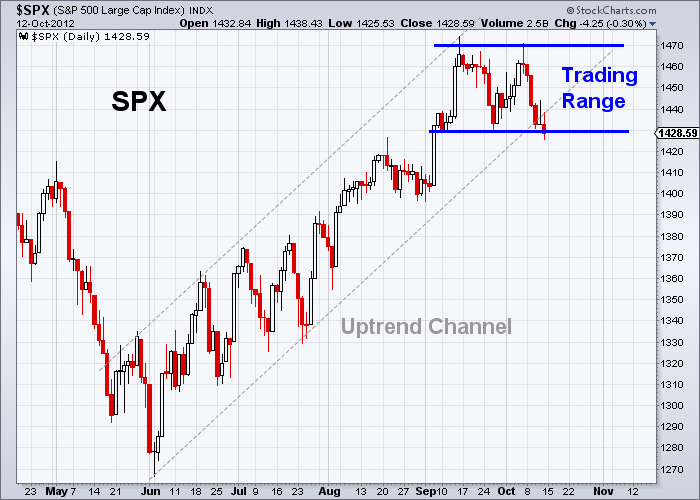 The S&P 500 index has formed a 5-week Trading Range between 1430 and 1470. 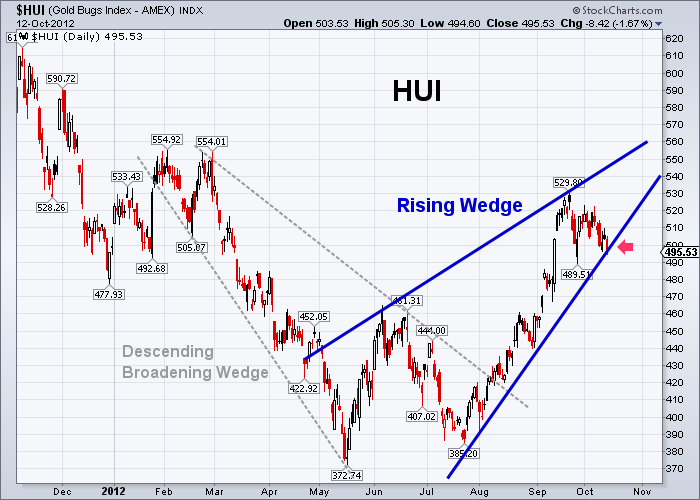 Prices could be choppy before a breakout from the horizontal channel. 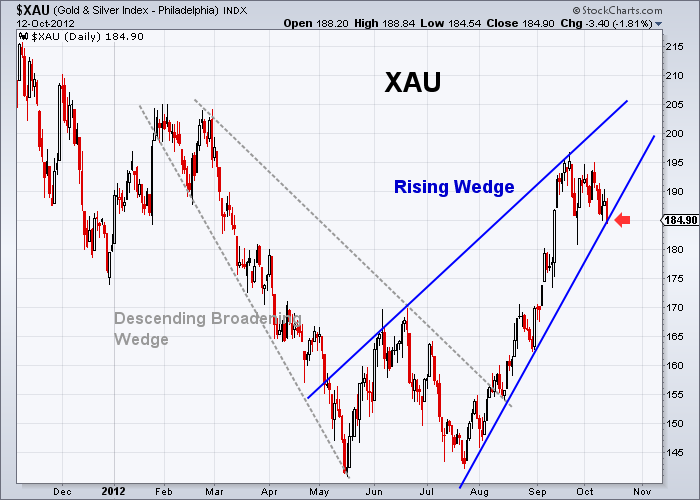 Now the index is testing 1430 at the lower boundary of the channel. 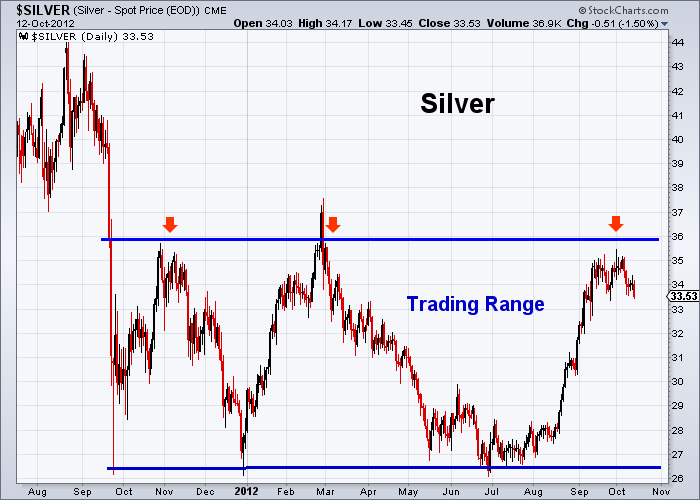 If it breaks through this level to the downside, the 5-week trading range would become a bearish double-top pattern. 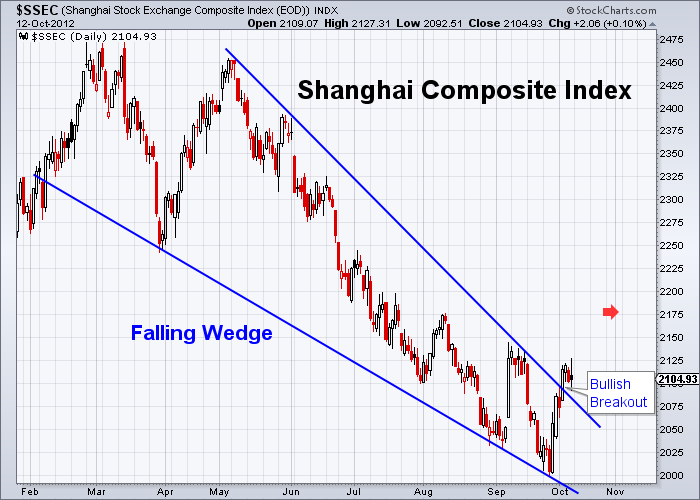 The Chinese stock market had a bullish breakout from the 6-month Falling Wedge last week. 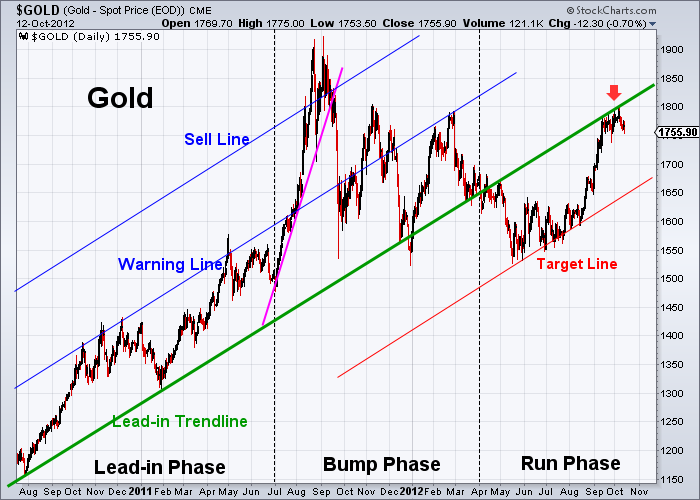 The upside price target is projected at 2175. 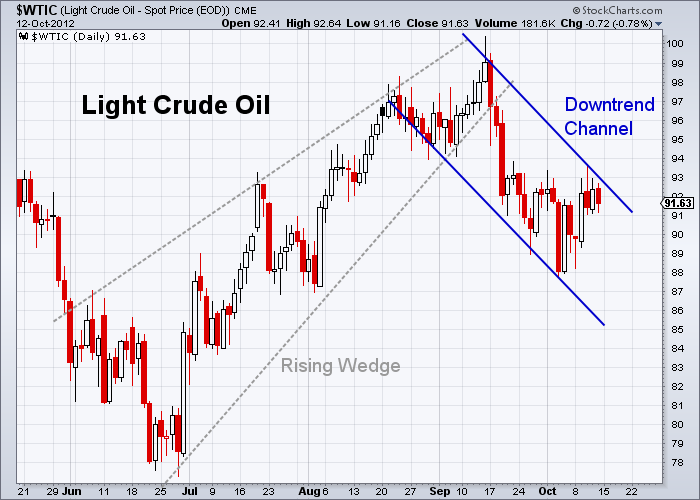 Crude oil is forming an 8-week downtrend channel. Prices could swing between 86 and 92 inside the channel before the next breakout. The following table is the percentage change of each asset class (in ETFs) against the 89-day exponential moving average (EMA89). 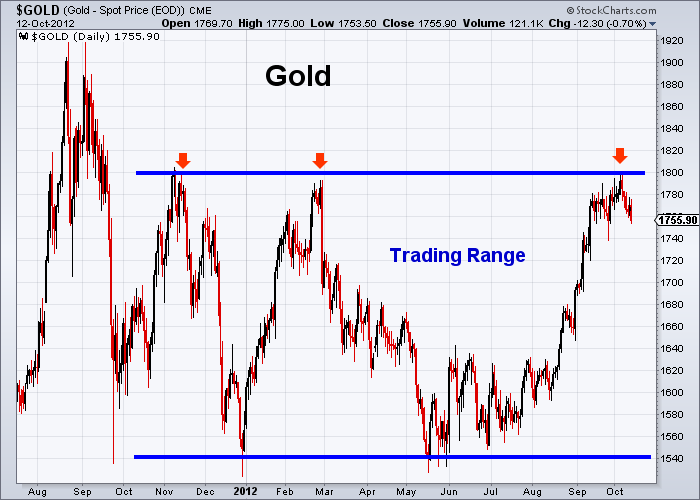 Currently gold is outperforming. 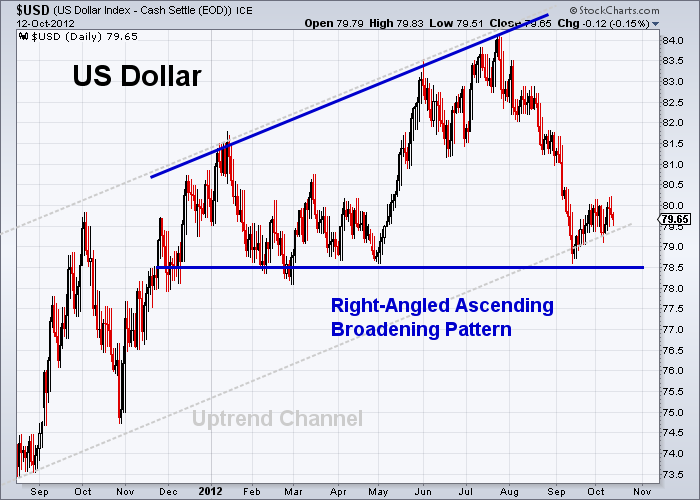 The U.S. dollar and crude oil are underperforming. The following table is the percentage change of sectors and major market indexes against the 89-day exponential moving average (EMA89). 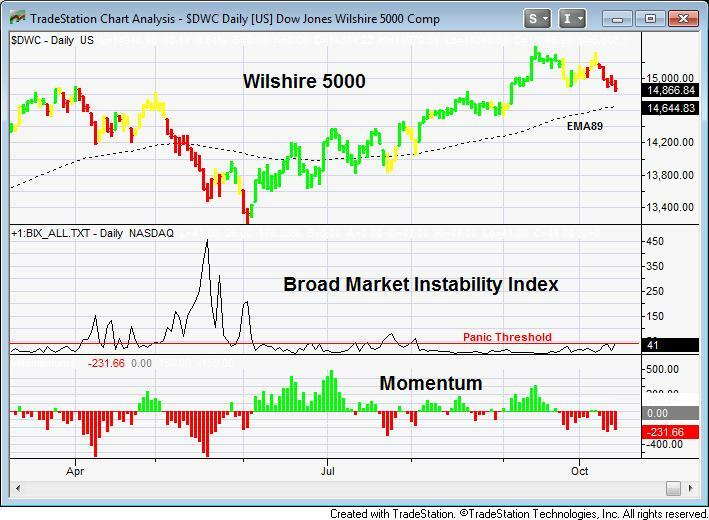 The Dow Jones Wilshire 5000 index, as an average or a benchmark of the total market, is 1.52% above the EMA89. 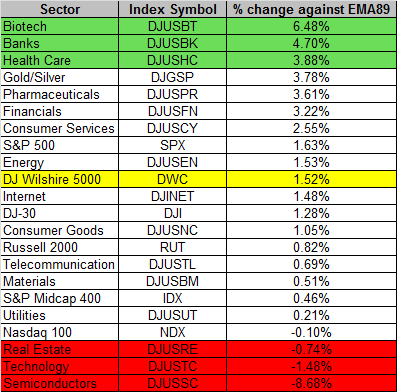 Outperforming sectors are Biotech (6.48%), Banks (4.70%), and Healthcare (3.88%). Underperforming sectors are Semiconductors (-8.68%), Technology (-1.48%), and Real Estate (-0.74%). The S&P 500 is outperforming and the NASDAQ 100 is underperforming.